We take a look at the best games you can expect from Nintendo's virtual museum when the Wii arrives. You can walk into a store or go online and find decades-old books and movies that stretch back to the birth of their respective media. So why has it taken so long for video game fans to be afforded the same luxury? The Wii's Virtual Console goes a long way to putting things right. The Virtual Console consists of emulators for not only most of Nintendo's past home consoles but a few of its previous competitors' too. Using the Virtual Console, you can download games right onto your Wii. The NES, Super NES and Nintendo 64 are joined by Sega's Mega Drive and Hudson's TurboGrafx, at last giving gamers somewhere they can legitimately go to download the classic games of decades past. The reality of the business end of the games industry mean that Wii owners in Europe will not be able to get to the same games as their Japanese and American counterparts. Thanks to licensing and localisation issues, it's unlikely that games never released in Europe on the original systems will ever make here in virtual form. This is especially grating because it's precisely during these years that Nintendo in particular was not nearly as kind to Europe as it was to its two major regions. Still, we'll take what we can get. Following is a run-down of some of the best games (prices in Wii points - €1 per 100 Wii points) that you'll be able to download through the Virtual Console service from the day the Wii launches in Europe, on 8 December. 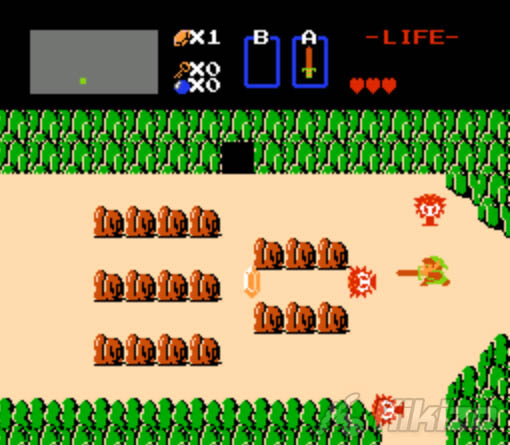 Link's first adventure on the NES is still looked at fondly, mostly because it was the game that set in motion so many of the ideas that continue in Nintendo's Legend of Zelda series to this day. While the game that followed this one was reviled for breaking from tradition, this first game introduced us to Hyrule, Zelda, the Master Sword and much, much more. By today's standards it's simplistic and short, but by no means is it something that you can merely pass over as trivial. Play it, if only to see how many games have borrowed from it in the last 20 years. With Nintendo not giving Europe much in the way of SNES love at launch, Virtual Consolers have little pick from. That said, you could do worse than giving this speedy racer a try. 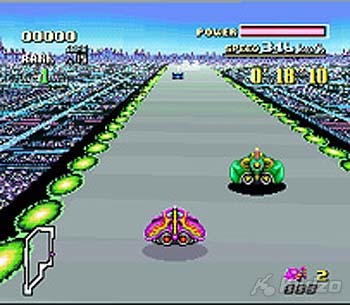 Nintendo had previously stuck with fun and fanciful titles from Mario and Link, but this game introduced its audience to frenetic speed, taking advantage of the unique graphical capabilities of the SNES. Keep an eye out for the background scrolling, which in its day was a revolutionary new technique. But mostly, just keep an eye on the road. Rare's more recent development efforts at Microsoft may not have you convinced of the company's game making prowess, but Donkey Kong Country will leave you in no doubt. 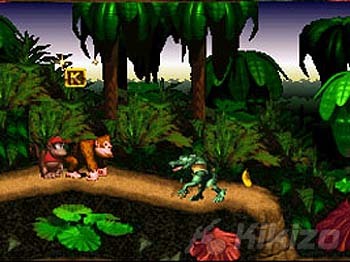 Like F-Zero, Donkey Kong Country is notable, at least in part, for the technology it introduced - in this case, pre-rendered 3D backgrounds. With Shigeru Miyamoto laying down his pencil, it was up to the British Stamper brothers to reignite interest in one of Nintendo's oldest characters, and they did it in this wonderful side-scrolling platform game. Is there such a thing as a perfect game? 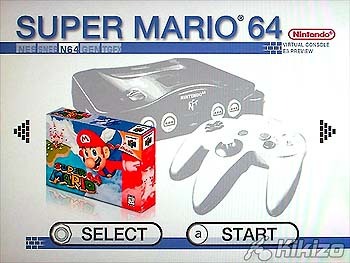 To many, Mario's first 3D outing on the Nintendo 64 is one of the few titles in the short history of video games that qualifies easily. Nintendo waited a long time to make the jump to the next dimension, but when it did, it did it with flair, style, and such confidence that this simple game would change the video game landscape. That this was a launch title for the fledgling Nintendo 64 was even more remarkable. 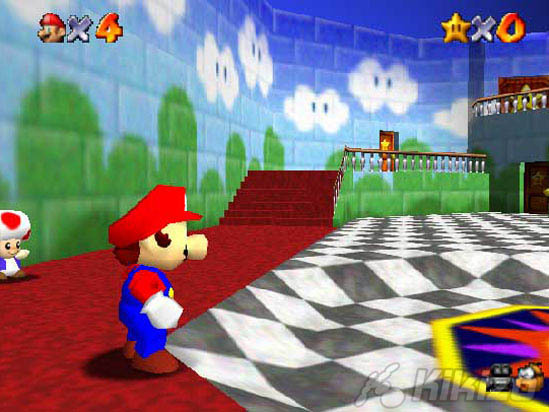 In some ways, Nintendo is still trying to recapture the magic it produced in Super Mario 64. At one point, the very thought of playing this game on a Nintendo console would have ushered in the Four Horsemen, but with Sega out of the hardware race, and Sonic losing all relevance in the modern world of video games, this serves as one of the truest experiences you can find. 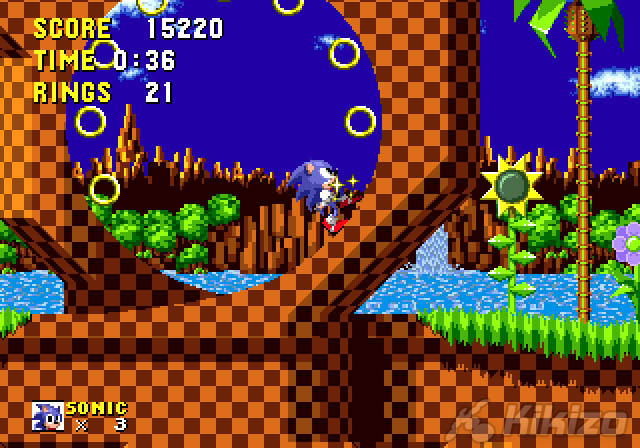 It may not be the best Sonic game, but it was the first, and its sheer coolness was enough to make Nintendo take notice of what its Japanese rival was doing. Sonic almost single-handedly made video games cool. Recreating the sense of speed unleashed in this game is something Sega is still struggling with today. See why. The days of the Mega Drive and Super NES were all about action games. Ones of this style have all but disappeared these days, which is all the more disheartening when Gunstar Heroes shows just how good they can be. 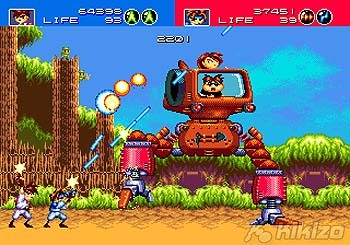 Japanese developer Treasure did such a good job of capturing the excitement of 2D action games in Gunstar Heroes, with its multiple bosses, potent weapons, and challenging gameplay, that it would serve as the foundation for thousands of adoring fans. It all comes down to balance, in the end. Three years before Steven Spielberg made us look at dinosaurs as wondrous creatures, Hudson was offending palaeontologists the world over in Bonk's Adventure, a fairly by-the-numbers side-scrolling platform game in which you offed all manner of prehistoric baddies with a firm bump to the head. The game is probably best played to appreciate its place in history rather than for the minimal innovation it introduced to the genre. 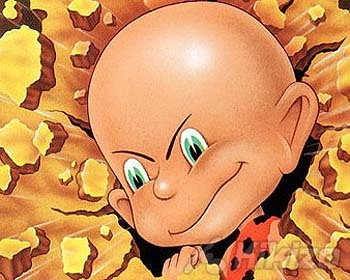 The bald-headed protagonist, when he wasn't flattening dinos, served as the mascot for the ill-fated Turbografx console.